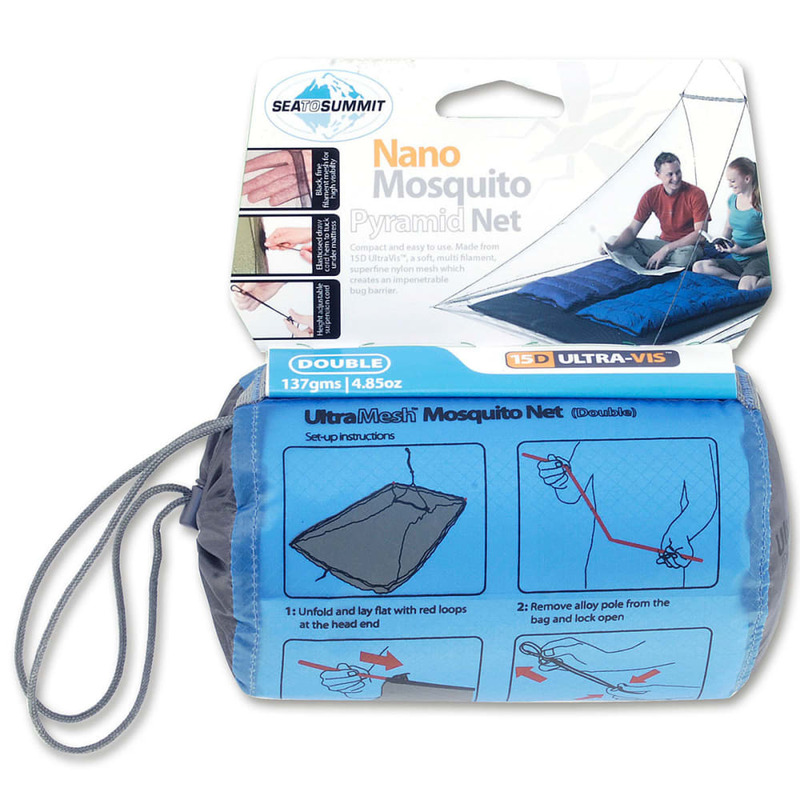 An indispensable item for traveling or backpacking in bug infested regions, the Sea to Summit Double Nano Mosquito Pyramid Net provides easy, lightweight protection for worry-free sleep. 22 in. 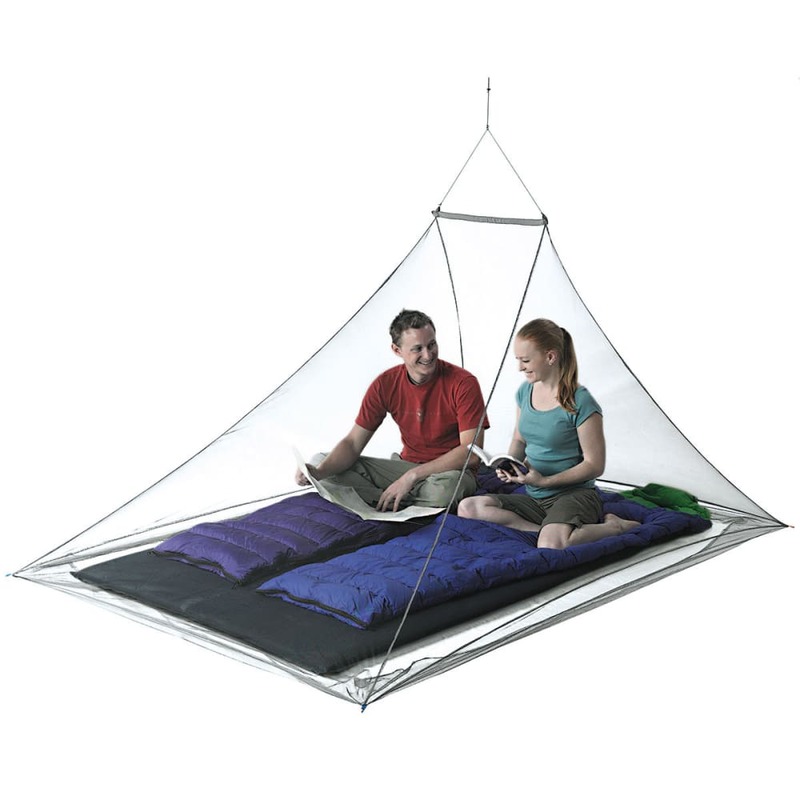 spreader poles packs down to 5 in.